The numerous all-inclusives at Jagdhof Holiday Apartments make your summer vacation or skiing holiday absolutely perfect. Here, big and small, groups and couples all feel completely at home. Aside from our in-house amenities, such as free WiFi, bike & ski cellar, as our guest you will also have free use of a spacious wellness area as well as the fitness room at our partner Hotel Alpenwelt (just 60 m away). 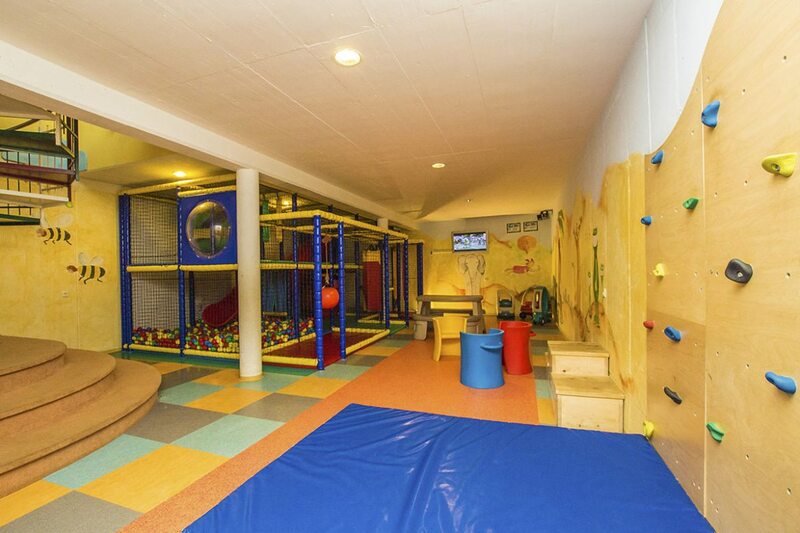 Kids, especially, love to stay with us, since our big playroom and a gigantic playground invite them to spend hour upon hour filled with fun and excitement. At our in-house Restaurant Jagdhof, upon request we will be happy to treat you to a breakfast buffet, half-board or à la carte dining. Look forward to your wonderful holidays spent with us here in the town center of Flachau in Salzburger Land. Take advantage of free WiFi in all holiday apartments. Each apartment has a safe for storing your valuables. You are welcome to use our washing machine and dryer for a charge of € 5. Parking spaces in our underground garage are available to you for a minimal fee. In addition, you will find parking right in front of the house, along with carports and covered parking for motorbikes. Safely store your sporting equipment in our bike & ski cellar including a ski-boot dryer. In the mood for some wellness? 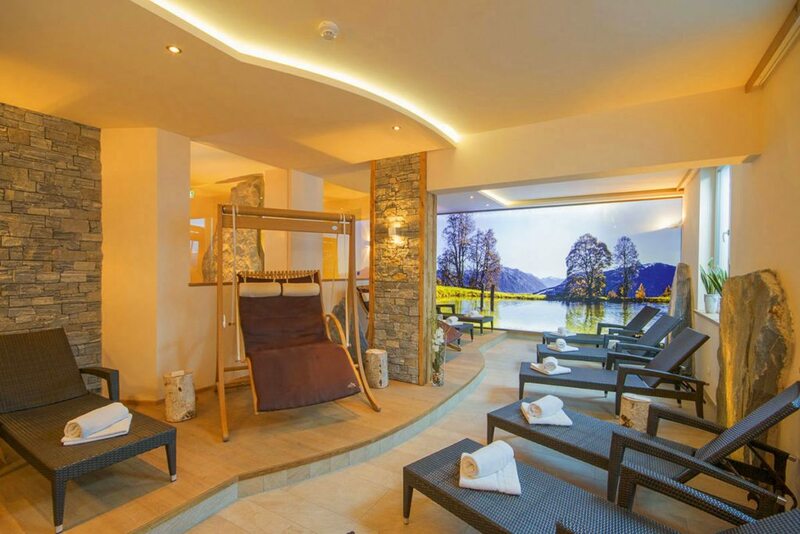 – The wellness oasis at Hotel Alpenwelt (60 m away) is available for our guests to enjoy free of charge. Relax in the Finnish sauna, the Softsauna, the steam bath and the tepidarium, in the infrared cabin, in the spa showers and the quiet room. In the separate sauna bar, at the end of yet another successful day you will be able to enjoy refreshing, revitalizing drinks. Also use of the fitness room is free of charge. Here with us, things never get boring! You will find a playroom with a gigantic Softplay center and ball pit, push cars, slides, climbing wall, kids’ cinema,… In summer, there’s lots to discover in front of the house, too: trampoline, go-carts, kids’ bikes, road-train rides, giant bouncy castle and much more. In winter, the 10,000 m2 meadow is perfect for building a snowman, running & playing, sliding, and simply having good fun. When you stay with us at least 2 nights, you will also receive the Flachau Summer Card for free. With this card, you enjoy numerous free offers. You can also take part in an organized activity program and you will receive various discounts. The valley station for the Achterjet lift is located just 700 meters away, making it easy to reach on foot. The ski bus stops right in front of our house. The cross-country ski trail and the bike path both run right past our holiday apartments. As a guest of our holiday apartments, you receive a 10 % rebate on rental equipment. You are welcome to use the ski & boot depot at the Achterjet valley station for free. 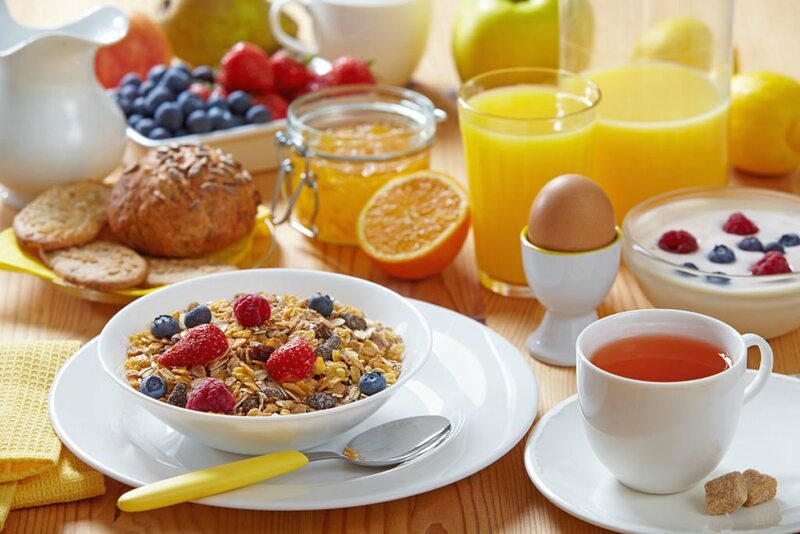 We are more than happy to offer you our breakfast-roll delivery service, a lavish breakfast buffet or half-board at our in-house Restaurant Jagdhof. You don’t need to decide until you get here, which meal options you prefer to book. In fact, you can even change your mind from one day to the next. Every morning, we will deliver breakfast rolls, bread or pastries to you. Additional charge is based on your exact order.